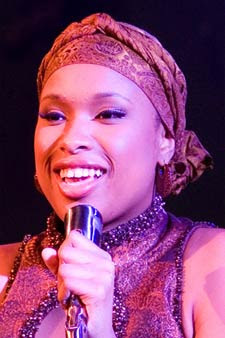 Jennifer Hudson's performance for Starbucks bosses was cancelled due to her alleged diva-like demands.The former 'American Idol' contestant, who has received worldwide acclaim after winning an Oscar for her performance in 'Dreamgirls', was scheduled to sing at the coffee giant's annual meeting in Seattle on Wednesday (21.03.07). Her appearance was cancelled after she presented them with a string of extravagant demands, including having baked chicken wings for breakfast. A source is quoted by gossip website TMZ as saying: "Jennifer's agency William Morris demanded five cars, hair and make-up artists, security for her and her assistant and humidifiers. "But the final straw came when they told Starbucks she would need baked chicken wings at 10am. Click here to find out more! "Starbucks Chairman Howard Schultz decided he had enough and pulled the plug because he didn't like the way the agent was dealing with his people." William Morris has so far refused to comment on the matter.